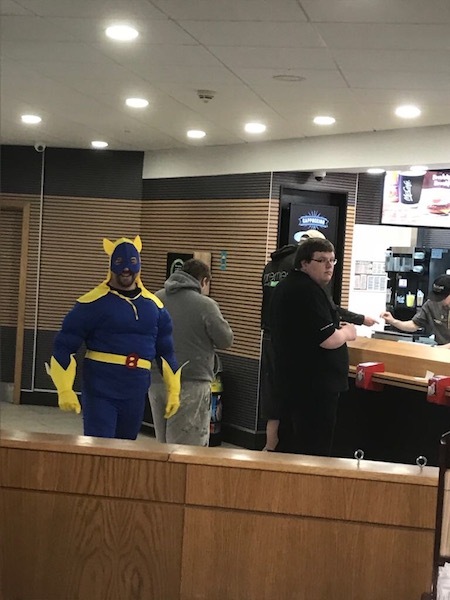 I was more pleased to see the AA man than Phil, even superheroes struggle with the pax window stuck down with a 200 mile hoon in the pouring rain . Thanks to everyone that made this trip happen, absolutely brilliant. Thanks Phil and Longers for doing all the bookings and to everyone else who made it a great few days. Thanks T8 and Phil for the enlightenment. I obviously didn't read the bit in the invitation to Dinslaken which clearly stated 'Dress Code: Dinner Jacket, no you fool this isn't the Aston Group, it's Blazer & Cravat, no you double fool this isn't the British Association of Jaguar, it's NineElevenEnglander therefore it's Lederhosen. 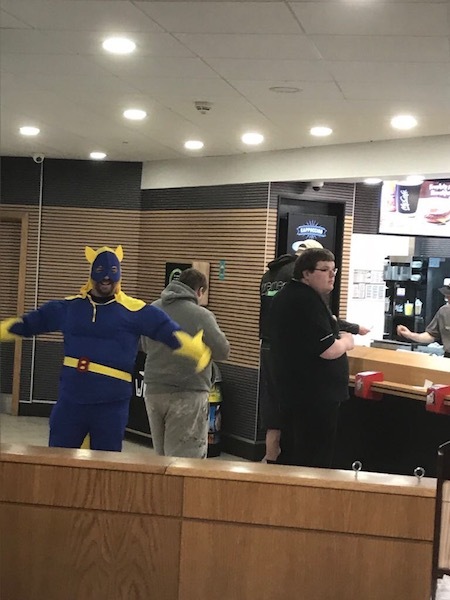 Erm, no actually it's Superhero this year'. askgeez is telling our story very eloquently so I'll just chip in with a few 'Terry Stats' and extra pics. 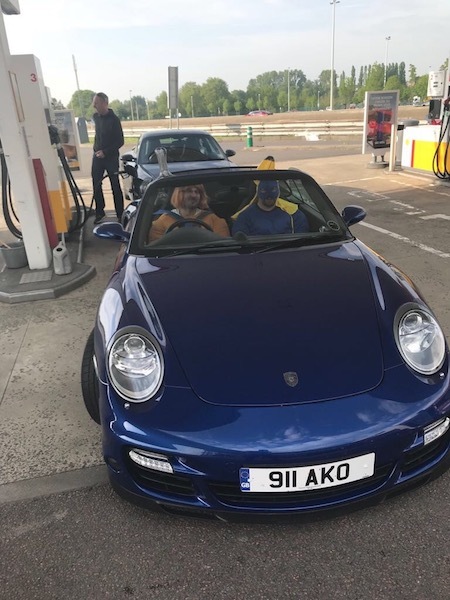 On Day 1 we travelled 299 miles from Calais to Wittlich by motorway with a couple of stops on the E42 before heading cross country for the final 34 miles to Cochem. The motorway miles were mostly pre-Germany so cruising was sub-90 mph but, as it was Sunday, we weren't hampered by lorries so made very good time. When we hit Germany we were able to gas it a couple of times but large chunks of autobahn were annoyingly down to one lane. A couple of short squirts allowed me to show my son what 150+ felt like for his first time. 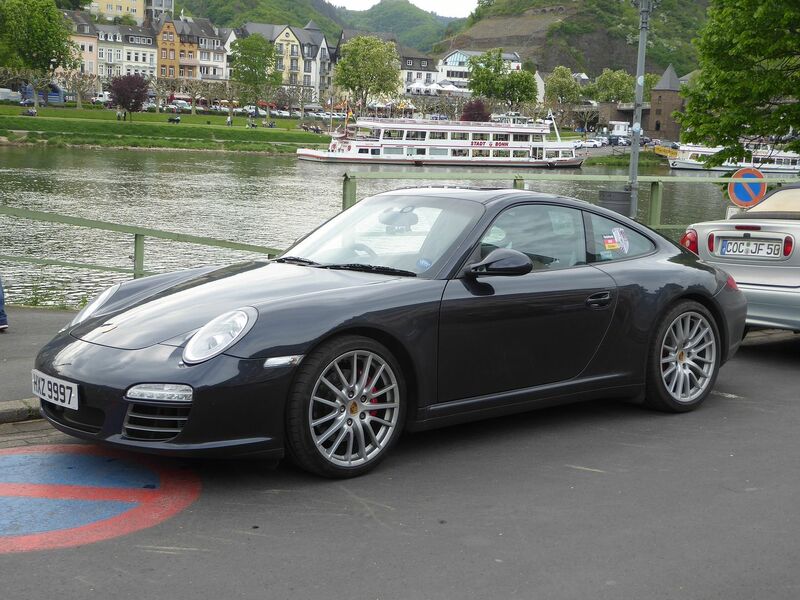 The cross-country run to Cochem was great, especially being able to hear the noise of two sporty Carreras over the muted whoosh of my car. The planned 45 minute detour to visit Cochem on our way to Nurburg proved worthwhile as our pictures of this beautiful place were framed with reasonably blue sky. ....... Arrived at the Dorint hotel, via a quick stop at Nordschleife paddock (more on that later). 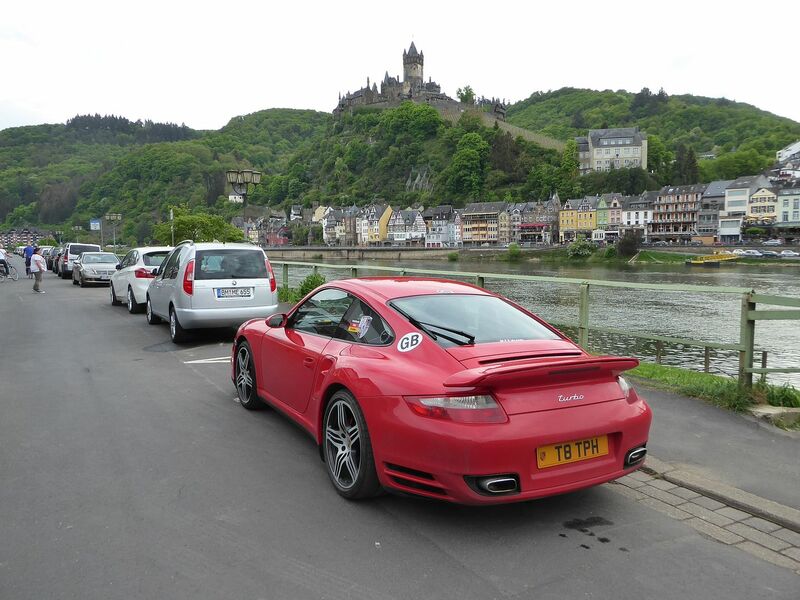 The hotel car park was extra special , with several brand new 991s including GT3 tourings. 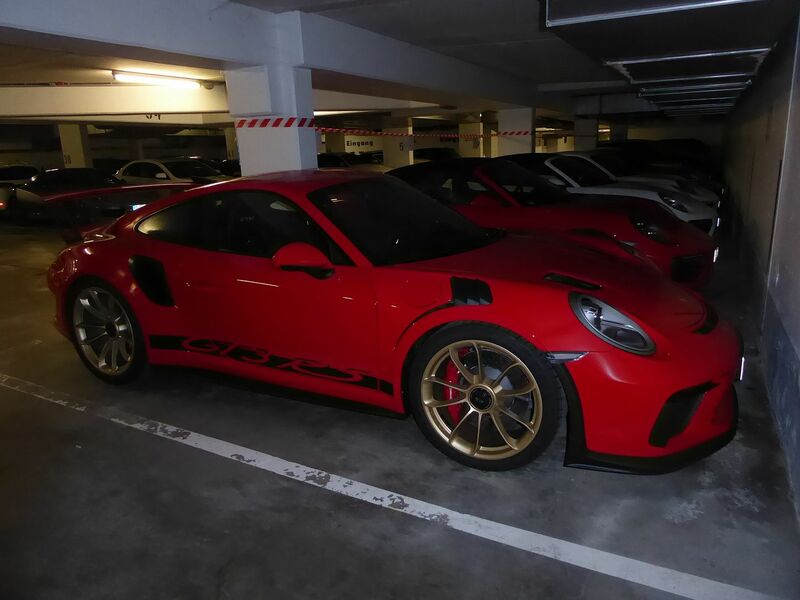 Porsche were hosting the GT3 RS press launch , so these were "courtesy cars" for using on GP track. Our very brief visit to the paddock at 'The Ring' on Sunday at least served one purpose. The Race-Taxi office located there on my previous trips had moved!! If we hadn't done the reccie we'd have been a bit stumped the next morning. A bit of googling that evening showed that they had relocated to the Info-Centre next to the Grand Prix track - just 200 yards from our hotel. So, on Monday morning, when all the others were still tucked up in bed, I took myself off to find out exactly where we were supposed to be picking up our Clio. The Info-Centre was easy to find - even for me. 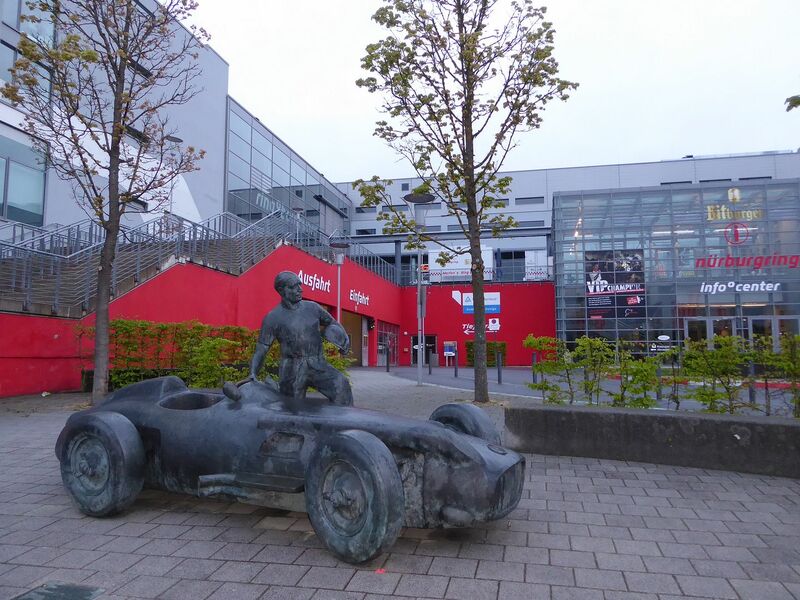 As well as Race-Taxi relocating I also noted that the statue of Fangio now had a new home. 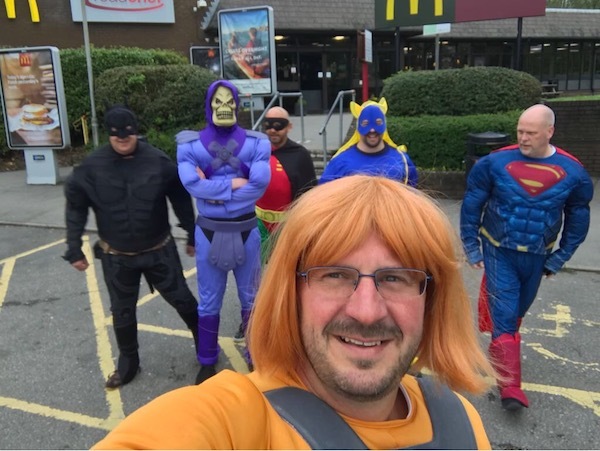 Unlike others on our trip I didn't have a costume but my own super-hero powers of deduction helped me to the conclusion that, whilst the office might be in the info-Centre, the cars would have to be kept somewhere else nearby. 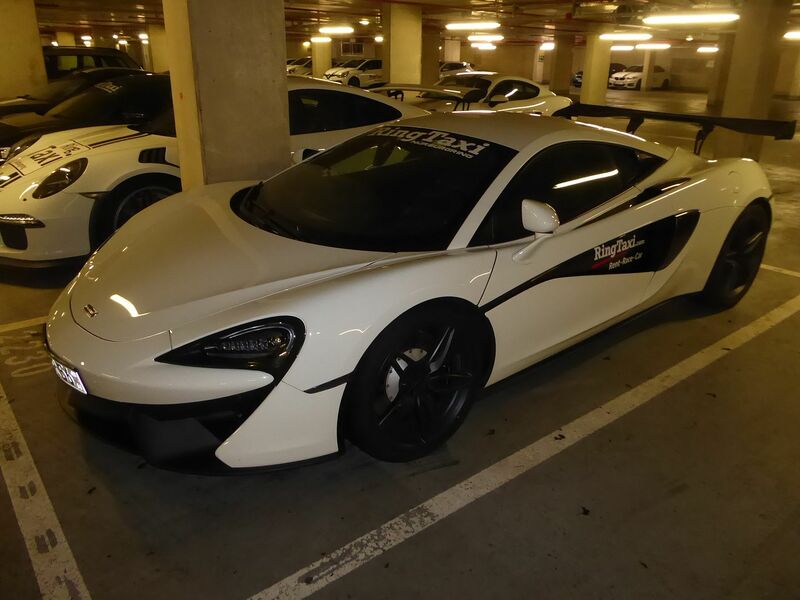 My eagle-eyed vision spotted the adjacent multi-storey car park and I wandered in to see if my suspicions were correct. Low and behold ........ a corral of 'Race-Taxis', including a McLaren, a GT3RS, a couple of 991 Turbos, several Cayman and loads of other, more humble, track-prepped beasties. 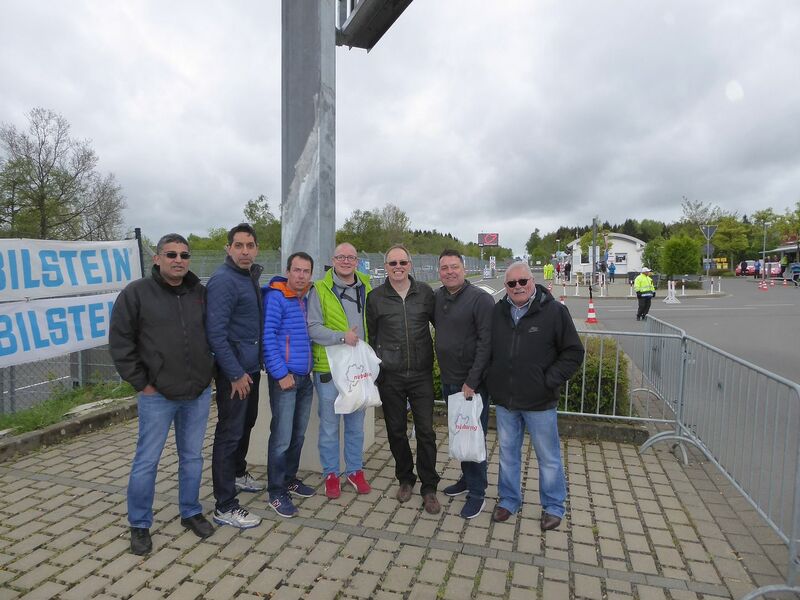 After my early, cold, morning walk along the Nurburgring Boulevard I returned to the hotel for a hot shower and joined the others for an excellent buffet breakfast before checking out and making our way back to the Signing-On Office. My travelling companion for this trip was my son, Matt, who the week before had celebrated his 30th birthday. 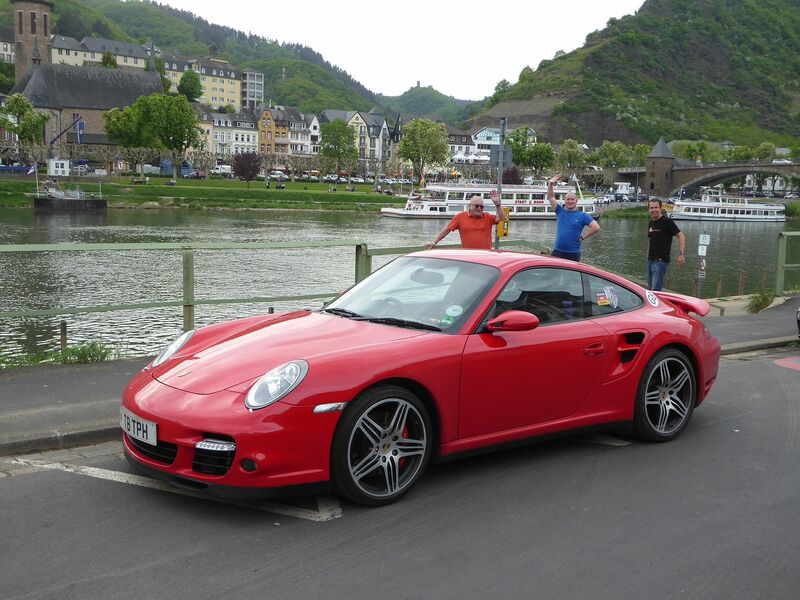 The roadtrip - his first ever - was my present to him and it wouldn't have been complete if I hadn't also helped him place a big tick on his bucket-list next to 'Drive a car around The Ring'. 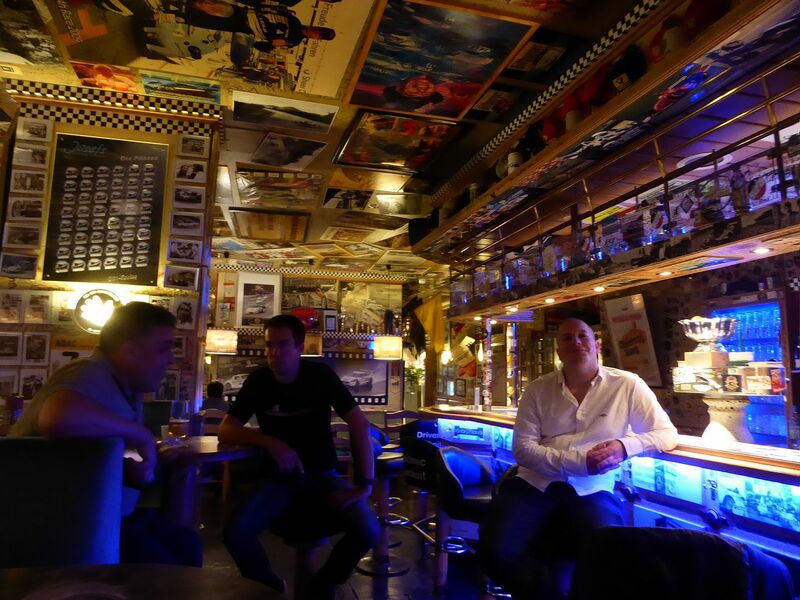 Marc and Guy hadn't taken much persuading to share the cost of the 6 laps minimum I had to pre-book. I'd been around before in my own car so wasn't too upset when I was told that whilst extra laps were possible I couldn't extend my contract to include a 4th driver. 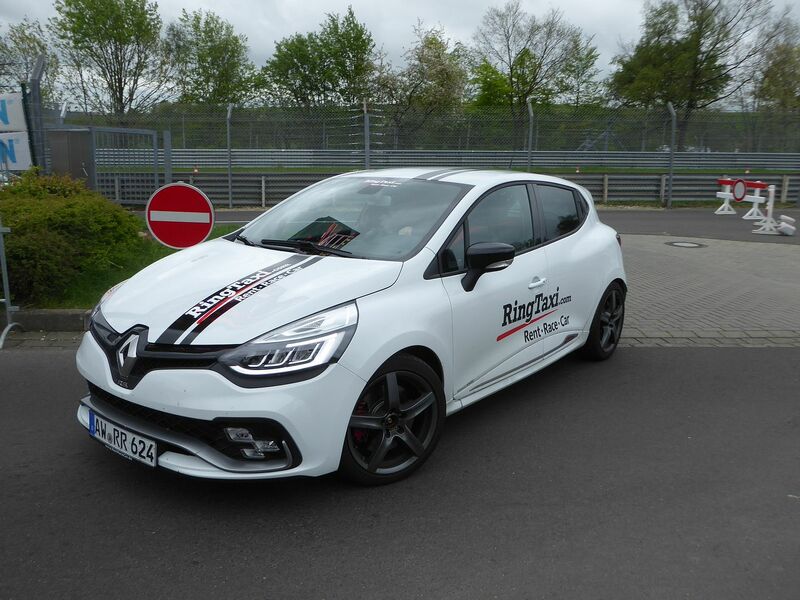 Matt took on the responsibility of delivering the car to the circuit - 3 miles away - and the rest of us followed on, arriving at a very chilly and slightly damp Nordschleife at 08.45. Matt took first drive, with me as an excited and slightly nervous passenger. As it turned out my only regret from the whole session was that I didn't nip to the ticket office, pay my 25 Euros, and take my own car out. 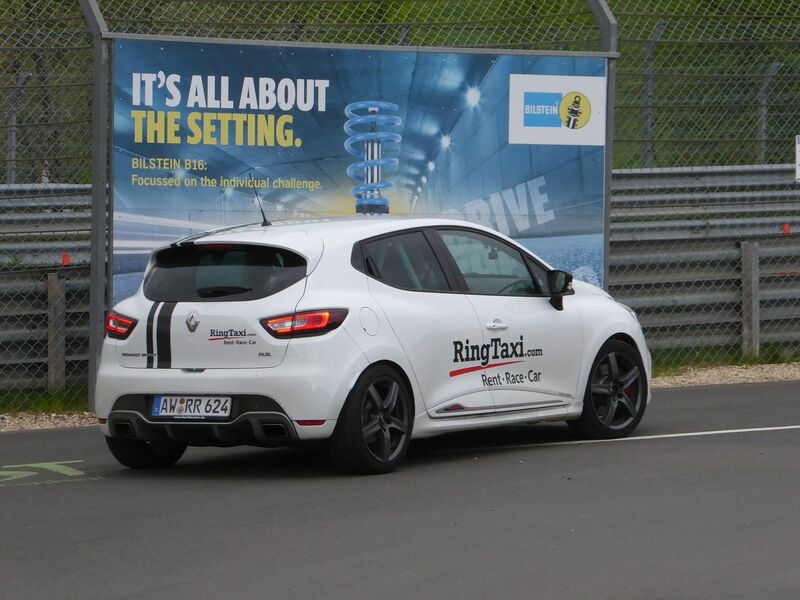 My biggest concern with driving at The Ring is getting in other peoples way. On that first lap we didn't catch another car and only saw two others as they gassed past us on a straight. It would have been bliss in mine. Oh to have 20/20 hindsight . Matt did really well and thoroughly enjoyed himself before handing over to Marc (tordofm) to lose his Ring virginity. I jumped in with him too. It was a bit busier on track but still very quiet, as it was when Guy (askgeez) went off to do his first one. Half an hour later ( ) Guy returned. The smile on his face just as big as the ones the previous two virgins were still wearing. By the time all three had done one lap each the paddock was getting busier and some of the serious Ringsters - including 911uk himself - had arrived. 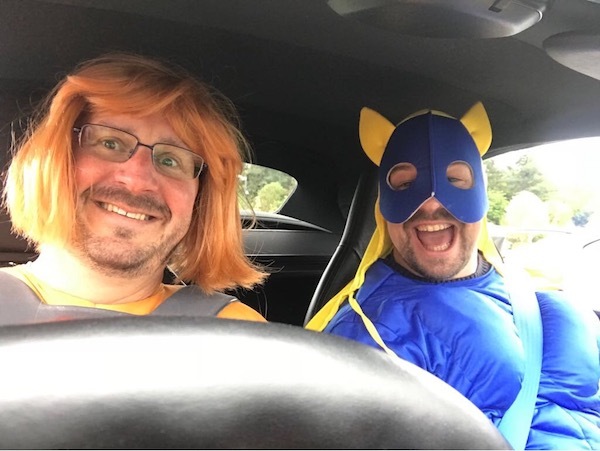 We quickly decided that it would be best to get the second tranche of laps in quickly, giving time to relax and to savour the atmosphere before taking the Clio back to base. 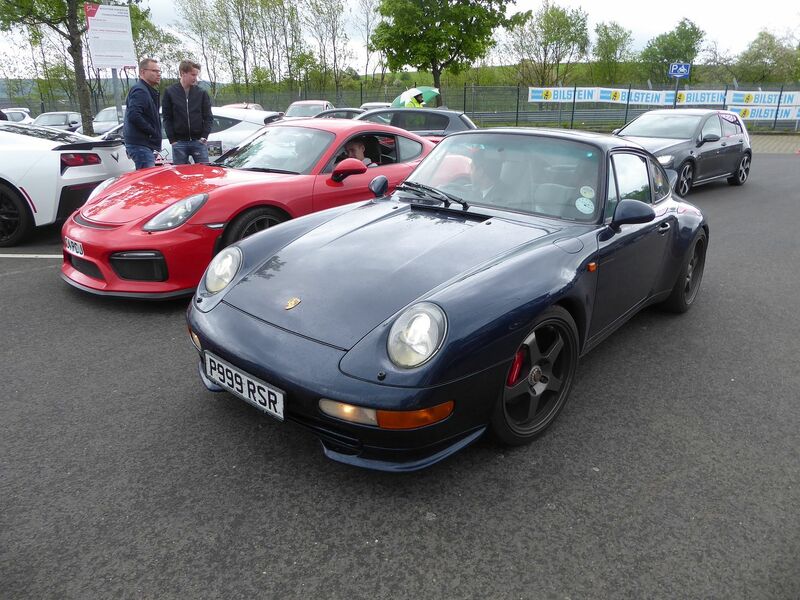 Whilst there Marc and Guy were also treated to a flying lap each in the passenger seat of 911uk's trusty 993 and, as you've read in their posts, were suitably impressed with both the car and it's expert driver. Sadly, whilst out on a lap with Marc, 911uk witnessed a BMW run out of talent and crash causing the track to be closed for over an hour. We'd already completed our laps for the day but it was a shame for all those that had only just arrived and/or were planning to get away early. It might not look like it from this picture but we all had a fantastic morning. The straight faces were more to do with the fact that (a) it was all over and (b) it was still bloody chilly. Thanks for a great weekend and good to meet everybody. I had a blast at Spa, really need to get back there and give it a proper crack! Alas i will be back in Australia by this time next year so this was my one and only Dinslaken journey, but i'll keep an eye on the site and live vicariously thru you nutters. 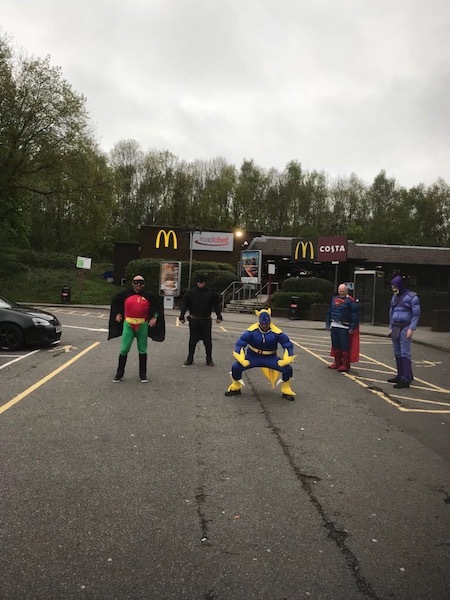 Looked a good trip lads, hopefully I can tag along to the next!